Samuel Ritchie was born in Philadelphia on June 11, 1847. He was the son of Arthur Ritchie and Mary Rhea Barton Hopkins. 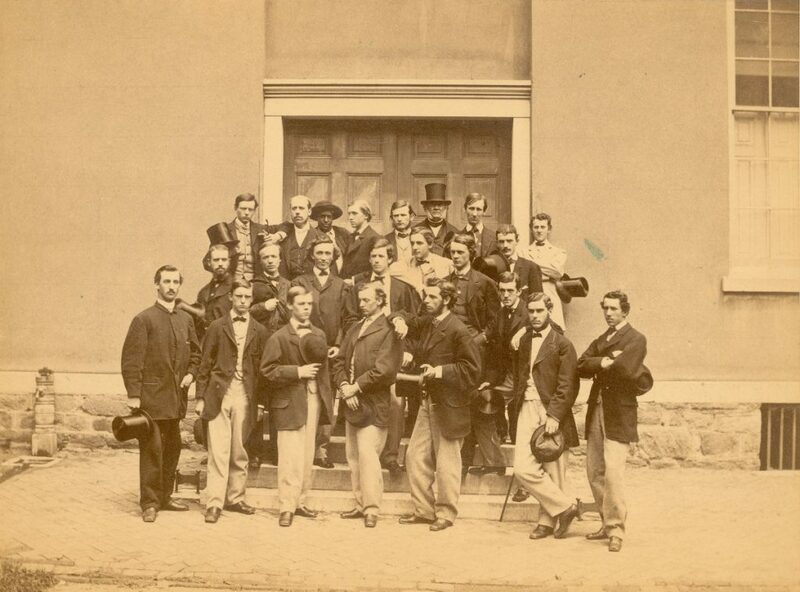 Ritchie entered the University in 1861 as a member of the College Class of 1865. While in college, he was reportedly a member of the Philomathean Society. He does appear on honors’ lists for his junior and senior years found in James Madison Power Wallace‘s scrapbook of the Class of 1865. According to the records of the twentieth and fortieth reunions of the Class of 1865, Ritchie went into business after college; by 1905 he was in New York City.